Tick and flea control agent Bravecto continues to be acceptably safe to use. Bravecto, a medicine that treats tick and flea infestations in dogs and cats, continues to have an acceptable safety profile. However, the company that markets the product will have to update the package leaflet. It must include convulsions as a new side effect that is reported very rarely, i.e., fewer than one animal out of 10,000 animals treated. In South Africa South Africa there have been 0.001% reports of seizures. Veterinarians and pet owners will also be advised to use Bravecto with caution in dogs with epilepsy. EMA’s Committee for Medicinal Products for Veterinary Use (CVMP), following a regular but inconclusive analysis of limited data on serious side effects, requested the company to investigate all relevant reports related to various disorders such as neurological, skin and appendage diseases, hypersensitivity or immune-mediated reactions and liver diseases, some of which were fatal. The investigation had to take into account the age and breed of animals, the number of treatments, underlying disease conditions and concomitant treatments. MSD, the company that markets Bravecto, is expected to implement the changes to the package leaflet within six months of the CVMP conclusion. According to MSD, about 41.6 million doses had been distributed worldwide, of which approximately 18 million were in the European Union (EU) between February 2014 and December 2016. By 15 August 2017, suspected side effects had been reported electronically for 5,326 dogs, of which 2,144 were in the EU. Between February 2014 and 15 August 2017, deaths had been reported in 1,265 dogs worldwide and 342 in the EU. 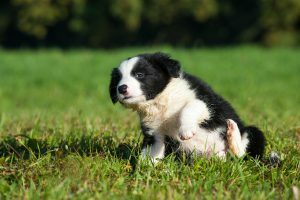 Each report relates to dogs under different health conditions, often receiving multiple medicines, therefore these figures may or may not be related to the use of Bravecto in dogs. Reports of both serious and non-serious adverse events are regularly reviewed by EMA as part of the continuous benefit-risk assessment of veterinary medicines. EMA’s CVMP currently reviews periodic safety update reports (PSURs) for Bravecto submitted by the company every six months. *The European Medicines Agency is a decentralised agency of the European Union (EU), located in London. It began operating in 1995. The Agency is responsible for the scientific evaluation, supervision and safety monitoring of medicines in the EU. EMA protects public and animal health in 28 EU Member States, as well as the countries of the European Economic Area, by ensuring that all medicines available on the EU market are safe, effective and of high quality. EMA serves a market of over 500 million people living in the EU.